All this material is a particularly useful addition to the integral approach as it focuses on many elements that are currently often missing from the explicitly ‘Integral’ approaches to leadership I’ve come across (e.g. accountability, succession planning, strategy, organizational structure etc). It pulls them all into an integrated and science-based system: “Keep in mind the guiding idea of the extraordinary power of an aligned systematic approach that aligns strategy, structure, staffing and other management practices and programs. Fragmentary or piecemeal approaches are often dysfunctional, costly and unnecessarily confuse managers and waste their time,” the book’s epilogue advises. And this is also a particularly good time to get to know this approach, not only because of the four clear overviews of the model—from different perspectives—that introduce the book, but because case studies are being made available for the first time. Over the past 50 years of this work case studies were almost non-existent, due to client confidentiality. In this book—written specifically for private sector CEOs and general managers, though interesting to many othes too—we find his friend Prof Jerry Harvey, author of The Abilene Paradox and Other Meditations on Management, telling us how Jaques shows how to predict with high validity who, at 25, is likely to become a VP, or line supervisor, at 45. 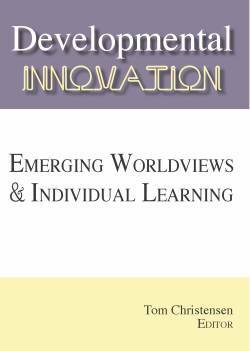 (Jerry is one of around 40 contributors—including CEOs, consultants, academics and management educators, from seven countries—to this impressive collection). Managerial hierarchy is the only system which fits human nature, for work requiring more than 50 people, explains Jaques—all the alternatives have failed. At this point some might be switching off from what sounds like a potentially rather bureaucratic system. Yet the companies that have tried this approach bring reports of “magical results, including quantum leaps in productivity and profits, and happier, more dedicated employees throughout the organisation”. Morale grows as employees are enabled to achieve their potential. Financially there can be “indecent success”—30-200 per cent increases in profits, along with 20-40 per cent growth. Peter Senge’s colleague Art Kleiner mentioned in his article ‘ Elliot Jaques Levels with you’ ( Strategy and Business, 2001) that one European investment firm predicts its share values by evaluating the level in the hierarchical strata of various CEOs, though—like other Jaques-influenced business groups—it apparently doesn’t advertise its method, guarding its competitive advantage. One of the many case studies in this large book is that of Canadian Business’ 2006 ‘CEO of the Year’ Denis Turcotte, and how he used Jaques approach to turn round a steel producer—from potential bankruptcy to an industry leader within a few years. Readers with good memories may even recall that Beck and Cowan offer Jaques’s book The Requisite Organization: A Total System for Effective Managerial Organization and Managerial Leadership for the 21st Century as one example of a Yellow meme model in their ‘ Resources for Spiral Wizards’ chapter at the end of their book Spiral Dynamics: Mastering Values, Leadership and Change. Indeed this provides the focus for another chapter in the book, which argues that RequisiteOrganization (RO) “is a solution appropriate for a Yellow environment”. “It is a solution for the discontented green organisation with a leader possessing capacity beyond his or her role, looking for a model that will allow him or her to both care for his or her people and get work done.” Howewver, the authors warn us: “Quite simply, the sophistication level of the RO model provides an action strategy slightly ahead of the challenges faced by most of today’s organisations”. In other words, it is “a solution before its time” – and the authors predict that a cohort of organisations will “begin moving toward a yellow stage and quite naturally embrace this well-crafted yellow solution…over the next few decades”. 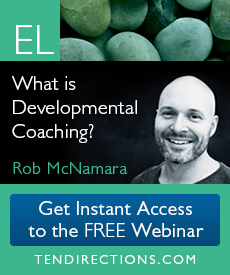 They also point out that some RO tools and teachings can be used pre-Yellow, and that “matching RO tools to development stages is a subject for future research”. Organizations have in fact found plenty of success to date using these ideas. GE’s talent pool system drew on Jaques and Brown’s Glacier Metal successes, and identified high-potential future leaders including Jack Welch and current CEO Jeffery Imelt. The recent bestseller The Leadership Pipeline: How to Build the Leadership Powered Company, by Ram Charan et al, is also rooted in Glacier Metal. The personnel assessment and promotion system of Glacier was also adapted by Japanese firms, including internationally. Toyota apparently combined Deming’s improvement cycle with Jaques ‘time-spans’ (a measure of complexity): “The results crushed the three Detroit-based automakers in 2006”, though the complete picture is no doubt more complicated than this. Jaques also worked with organizations including RTZ, the Church of England and the US Joint Chiefs of Staff, where he received a certificate of appreciation from Gen Colin Powell for “outstanding contributions in the field of military leadership theory”. A chapter detailing Jaques’s work with the US Army, by T Owen Jacobs and Stephen Clement, describes how the RO approach “contributed strongly to our understanding of the roles of strategic military leaders and to improvement in military leader development”. “It is an extraordinarily useful lens…for understanding assessment and development processes to ensure a stream of “growing” leaders and managers who will regularly be prepared to assume heightened responsibilities as they are thrust upon them.” (Some of the army work is written up in The Nature of Executive Leadership: A Conceptual and Empirical Analysis of Success by Stephen Zaccaro (2001, American Psychological Association). I’ve held off describing the core of Jaques’s theory, but now it’s time to look in a bit more depth at the Requisite Organization approach (just to confuse things, Stratified Systems Theory is another label occasionally used for parts of the theory, as is Work Levels.). Jaques describes how the complexity of work roles in an organisation is spread over a number of strata, seven at the most for all but the largest, most complex organizations. To discern the complexity of a role you look at the time target of the longest task that must be completed in that role (ie ‘the target completion time of the longest task, project or program assigned to that role”). Years of fieldwork found that people in organisations were remarkably unanimous about where the cut-offs are between strata. Here are some example strata: Stratum 1 (typical role: front-line employee, with a time-span range up to 3 months); Stratum III (line manager, dept director or senior professional; time-span range 1-2 years) and Stratum VII (international corporation CEO, 20-50 years). Only “a miraculous few, are endowed with the Churchillian gift to glimpse across the centuries”. People’s cognitive capacity—a major component of capability—progresses through similar stages, showing a strong correlation with time horizons. Though some people (‘high-moders’) will grow through the stages more quickly, and reach a higher stratum. (But no amount of training, workshops, practices, can speed up one’s predetermined gradual growth of complexity—contra ‘Integral Life Practice’?) Basically the pattern of seven managerial strata coincides precisely with the categories of individual cognitive complexity. Jaques believed this assessment to be appropriate when considering an outside candidate for a role. For those already employed by the organization, he preferred a process of ‘talent pool gearing’ done in-house, where managers and ‘managers-once-removed’ would intuitively come to an agreement on their subordinates’ capability. While we all have biases that affect our judgments of others, those managers who fully engage their subordinates in their work, who direct them, support them, and hold them to account, do know their subordinates’ potential. From these various findings about the stages in the complexity of work and the capability of people flow a number of guidelines about what a healthy structure—a ‘Requisite Organization’ looks like. For instance, a manager needs to be one clear stratum above the employee and a person’s time horizon (cognitive capacity) must match the time-span of the role. The leader must ensure that people at each level of the organisation are mentally equipped to do their jobs and “any CEO who wants to establish an effective managerial leadership system will begin by establishing a structural foundation layered in accord with the time-span framework” (one chapter discusses how this will lead individuals to experience Csikszentmihalyi’s optimal “Flow” state). After collecting time-span information on all the roles, the Jaquesian leader will identify gaps and compressions—i.e. parts of the organisation where a manager is more than one stratum above the subordinate, or is at the same level as the subordinate. A manager who is not one level higher than the subordinate in mental complexity will be unable to provide the wider vision that the subordinate needs. The subordinate may well feel that he or she is being micromanaged, that the manager is breathing down their neck, failing to add value. People “may resent taking direction from managers who feel more like peers.” The opposite problem occurs when the gap between manager and employee is two strata or more—the manager will appear aloof, and won’t want to slow down to coach their subordinate, will feel ‘pulled down into the weeds’. (“Seemingly intractable leadership problems frequently involved good people who alienate their staff by micro-managing, as well as brilliant leaders who leave their less brilliant followers bewildered”). “Research shows that, on average, 40-50 per cent of employees report to a manager who is ill-suited to provide them adequate leadership”. Sometimes CEOs may be ‘in over their heads’ – ie not having the cognitive capacity to adequately fill a role. In this case, they are likely to shrink their organisation down to their own level, and may constrict the initiatives of their subordinates, with whom they share similar capability levels. Research also finds that 35 per cent of employees are in roles that do not match their current capability—though of course this includes those who are ‘in under their heads’, feeling boredom and indifference, and likely to cross roles to find things that interest them, interfering with others’ work. 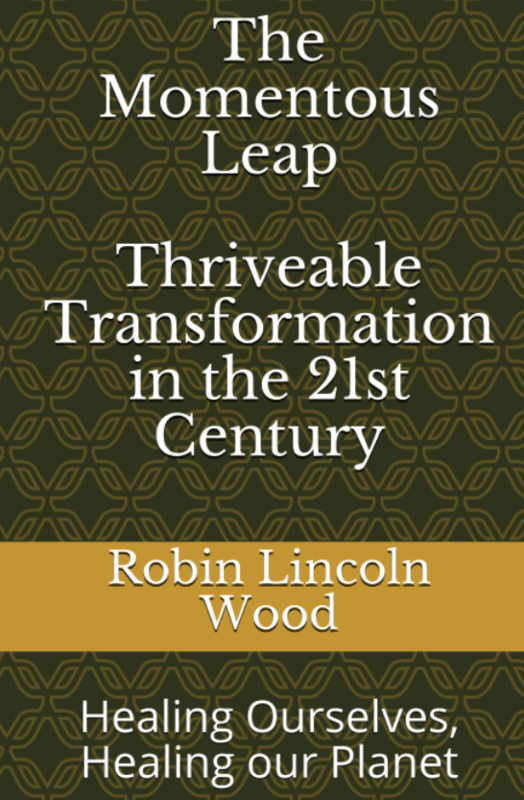 The answer—to avoid all these problems—is for the leader to put in place a Requisite structure: “aligning level of work complexity with human capability levels seems to be the unrecognised master key to strategic breakthrough, competitive advantage, increased profit margins, better work environments for employees, and a better society”. Once the targeted completion time of the longest single task of the CEO’s role is known, then this will be the top layer—and one can then count down the number of strata that are required below to support this top level stratum. Indeed one needs stratum V cognitive capability in order to conceptualise a total system and, thus, stratum VI capability in order to transform “from one operating model to a requisite, total-system model”. A leader who wants to bring about transformative change within an organization must possess cognitive capacity one level beyond that which is requisite for their current role—in order “to step outside what is, then plan for and execute the transformation”. It is also possible to build a structure to support a particular strategy, by specifying the stratum that your strategy needs for each role, though “place the role too low and your strategy will fail”, we are warned. The level of complexity of a corporation’s strategy can be assessed and will need to match or exceed your competitor’s. Central to the Requisite structure of authority and accountability is the ‘Manager-once-removed’ (the manager’s manager). This person has accountability for mentoring and career development of their subordinate once removed—so that every person in the organisation has a mentor. Jaques also makes managers, not subordinates, accountable for results. The palette of Requisite leadership practices includes: context setting, unambiguous assignment definition, significant-incident feedback, effectiveness appraisal and coaching—all of it to be done in dialogue with the subordinate. When it comes to rates of pay, Jaques offers another challenging research finding. Apparently the pay people feel is fair for a job role (‘Felt Fair Pay’) correlates strongly—a .86 to .94 correlation—with the time span of a role. The various personality problems that arise in organisations will usually “fall away” once the right underlying structure is put in place, argues Jaques. And he’s very dismissive (other than in the shoft term) of various popular methodologies that promise to fix problems but miss the structural fundamentals: group dynamics training, Myers-Briggs, self-managed learning, 360 degree feedback, self managed teams, profit sharing etc. For Jaques, too, “there is no such thing as a ‘leadership personality’”. 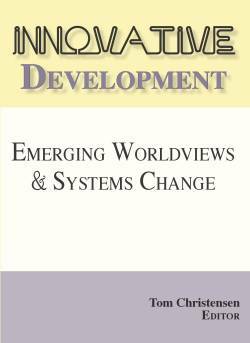 Apart from generally introducing, and fleshing out, the Requisite Organization (RO) model, this valuable book offers quite a number of specific case studies of full and partial RO implementation, plus material on leadership, governance, training, complexity theory etc. Another chapter looks at the evolution of the quality function, and of strategy, through the strata – understood via the evolution of holons (Koestler and Wilber). This survey ranges from end of line inspection (Level II) to Total Quality Managment (level V). The Japanese saw quality as a strategic function and created TQM at level V, we are told. “The rest is history, as Ford and GM have never recovered”. ‘[T]here is considerable overlap between work levels theory and the ideas of holons”, adds the chapter’s author, Julian Fairfield, who also integrates the holons model with McKinsey’s 7-S model to understand how organisational design shifts as you move through levels—and brings in Porter Five Forces Model, populated in a holonic form. The difficulty is, Fairfield warns, that lifting the quality function requires congruent lifting all of the functions that contribute to quality: “An organisation’s overall level is determined by the lowest level of any of its key functions for success”. “In my experience, it is easier to achieve the level shift by initially overstaffing a greenfield site than to life an existing organisation,” he suggests. A chapter by the late Elliott Jaques himself offers a case study of an aluminium rolling company and the RO changes within it that led to a “general sense of well-being and opportunity for self-actualisation that suffuses the company” (and also led from appalling relations with the trade union—including an 11-week strike—to “extraordinarily positive collaboration from the union”). Chapters on RO in relation to IT show how technical proficiency doesn’t equate to capability at the right managerial level. A chapter on work-related counseling includes the topics of “consensus induced chaos” and “guilt of management” in the world of “flat organisations” (presumably what have been called ‘Green meme’ approaches). There’s even a chapter, “Requisite Organization Goes to Church”, where John Morgan describes how he grew a New Mexico mega-church from 800 weekly attendance to 1,500. Most churches are stratum II or III; Piñon Hills Community Church is stratum V, he suggests. Morgan also did work looking at human capability/complexity of historical religious figures (ie Jesus, Martin Luther King Jr, and Pope John Paul II), an angle that would perhaps fit well into Prof. Thierry Pauchant’s project to write 100 ‘integral leadographies’ about key historical leaders. No mention, though, in this particular collection of Alison Brause’s Jaquesian work that compared 8 US Presidential elections and found that candidates with the higher cognitive complexity (as shown under the pressure of spontaneous political debate) would always win, or the younger candidate (set to mature to a higher complexity) if the complexity level was the same. Brause suggests that voters can intuitively judge a candidate’s complexity of mental processing (Though I’m told by Herb Koplowitz—a pioneer in higher adult development who now works with RO, and contributes to this volume—that the more recent victory of Bush (Stratum VI) over Kerry (Stratum VII) obviously doesn’t fit the proposed pattern). It’s impossible really to give an adequate overview of this large and impressive volume, I recommend you dive in and discover it for yourself. It’s an easier read than Jaques’s own very many works, which you might want to move on to, including: Requisite Organization – A Total System for Effective Managerial Organization and Managerial Leadership for the 21st Centur y, E Executive Leadership – A Practical Guide to Managing Complexity, and Human Capability – A Study of Individual Potential and its Application. On the practical implementation side, some books worth looking at include Systems Leadership: Creating Positive Organisations, by MacDonald, Burke and Stewart, Targeting the Top by Nancy Lee, and Accountability Leadership: How to Strengthen Productivity Through Sound Managerial Leadership by Gerald Kraines. I’ll end with a couple of the suggestions from the Epilogue: “Don’t call it Requisite Organization. Call it ‘[Your Company’s] Management System’”, and put a ‘high mode’ individual (who is capable at one level under the CEO) in charge of HR, reporting directly to the CEO. Matthew Kalman MA, is a founder member of the Integral Institute, and launched the London Integral Circle in 2000. 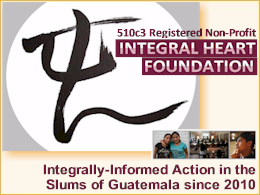 The group has hosted Integral Institute founder members including Susanne Cook-Greuter, Don Beck, John Rowan, and Rabbi Michael Lerner at events attracting up to 300 people. He has worked with Henley Management College to develop the first model of Integral Knowledge Management. Matthew works as a media professional and lives with his family in London, England.